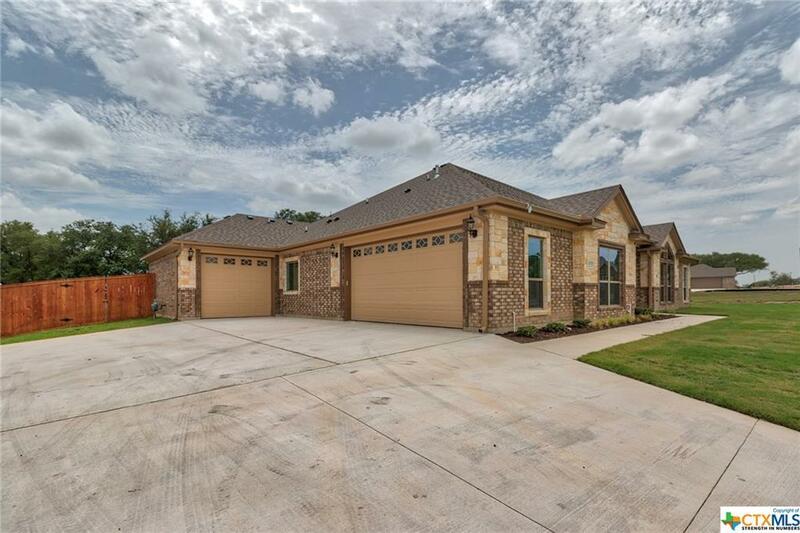 Move into luxury in this stunning new construction home located in the gated community of Bella Charca and built by award winning A&G Homes. 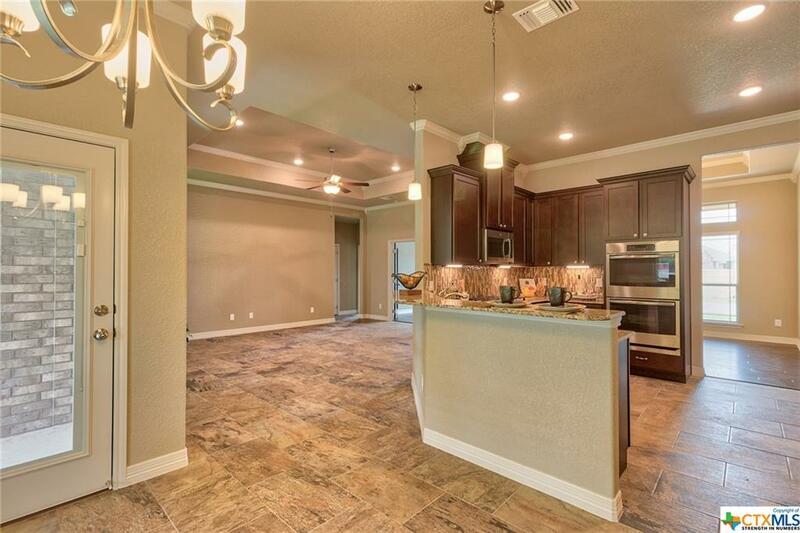 This floor plan has all the comforts from high ceilings and recessed lighting to a fabulous gourmet kitchen with large, self cleaning built-in double ovens and a 5-burner gas cook-top, tall cabinets with adjustable shelves, pull-out spice cabinet, granite counters, stainless steel appliances and under cabinet lighting. 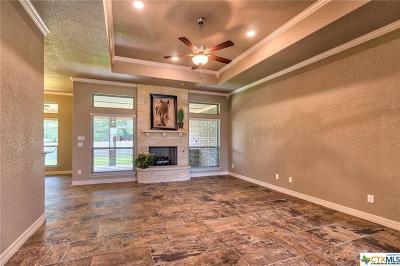 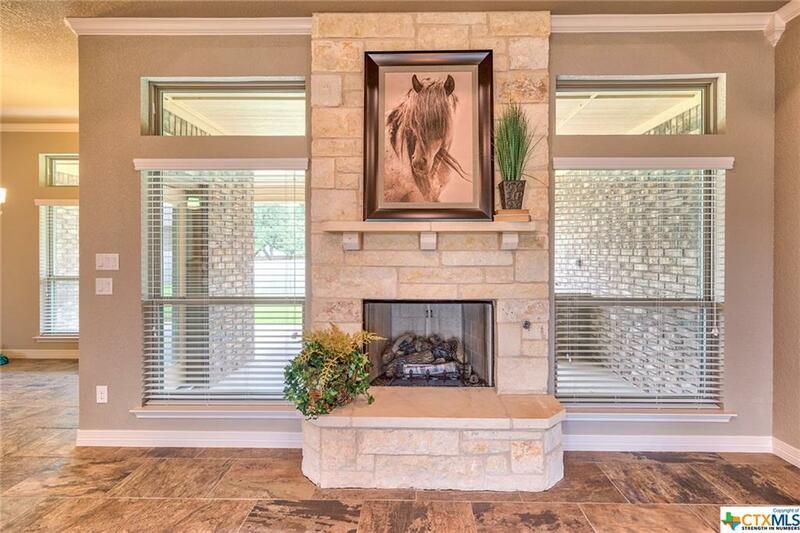 A beautiful stone fireplace with stone mantle highlights the spacious family room. 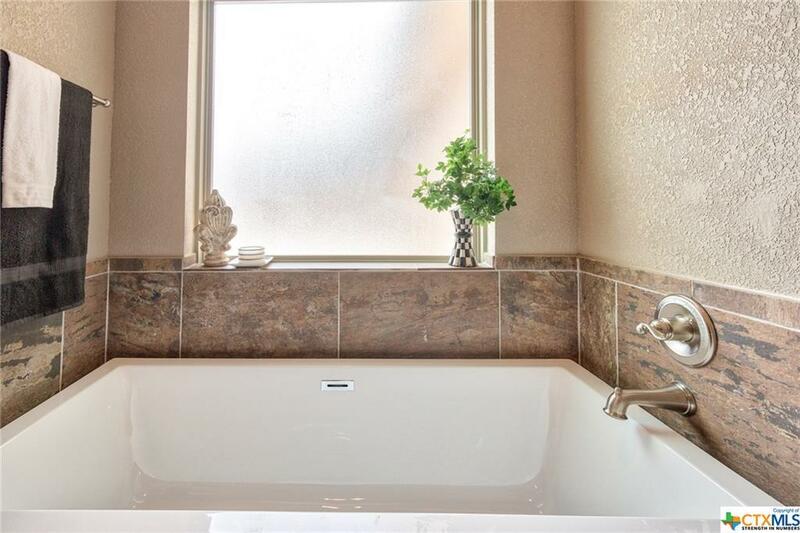 The large owner’s suite includes a cozy sitting area, a door to the patio and a spacious bathroom with his & her vanities with unique sinks and a seating area, a modern soaking tub with an obscure window above to provide light while maintaining privacy and a ceramic shower with a seat. 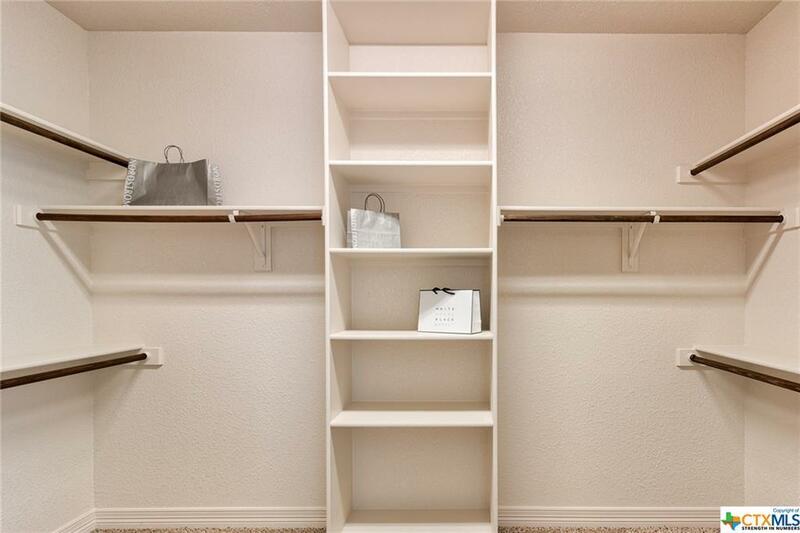 The spacious walk-in closet has an abundance of built-in shelves and hanging space. 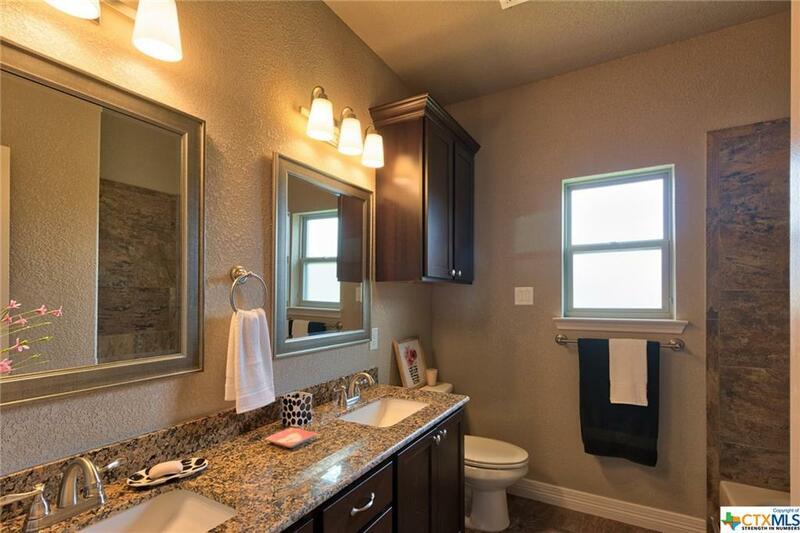 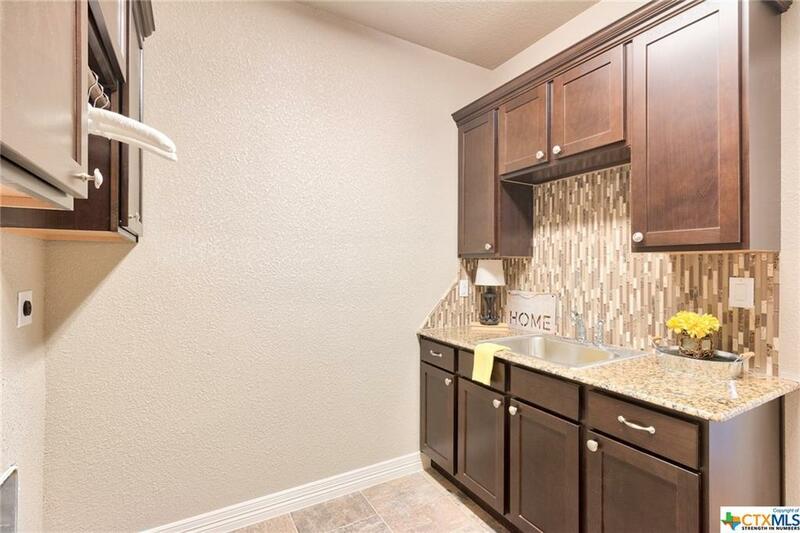 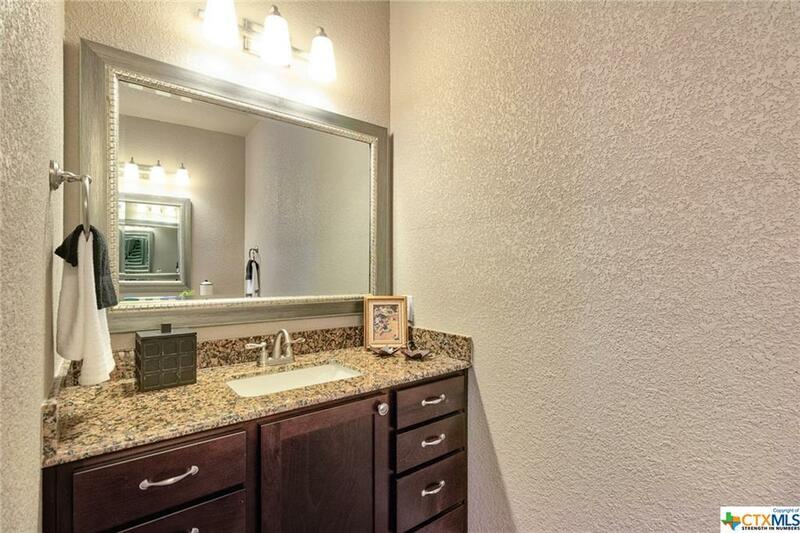 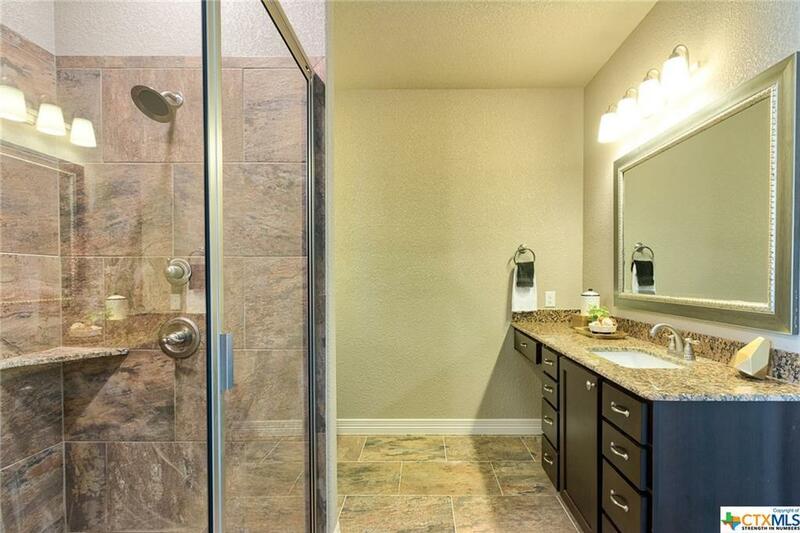 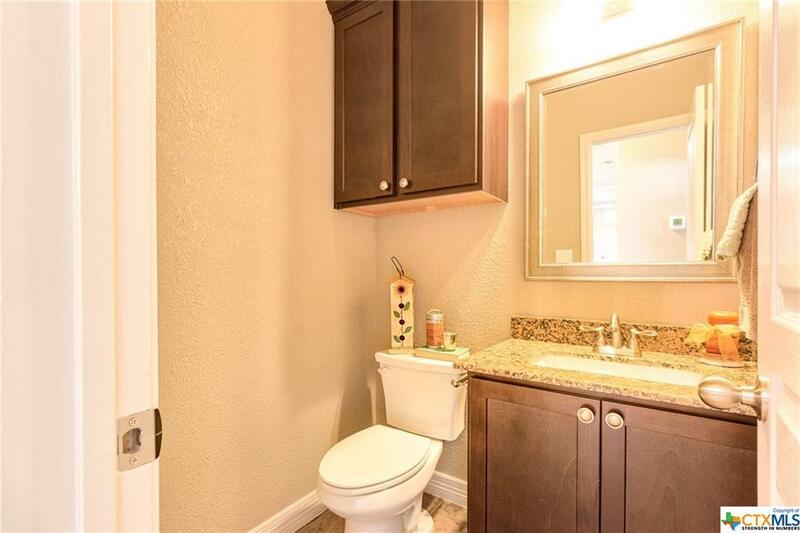 An extra touch of elegance can be found in the half bath that has granite and tile and the utility room includes extra cabinets, hanging space and a sink with backsplash that matches the kitchen. 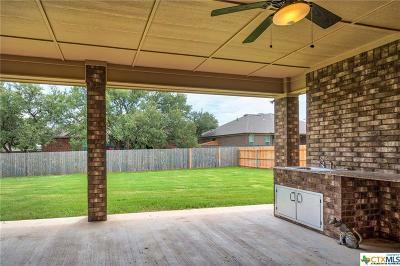 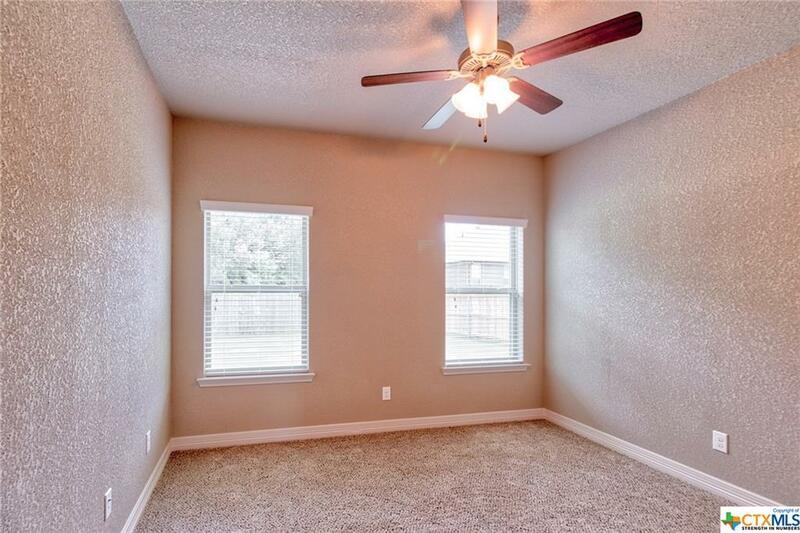 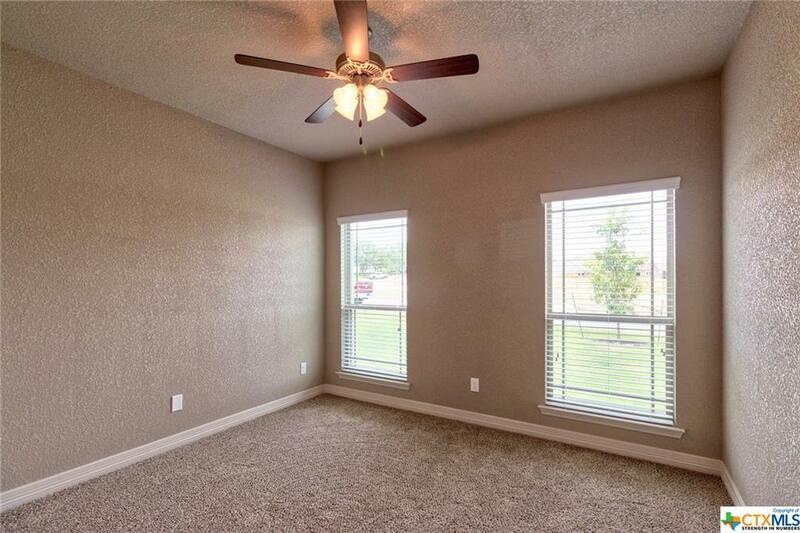 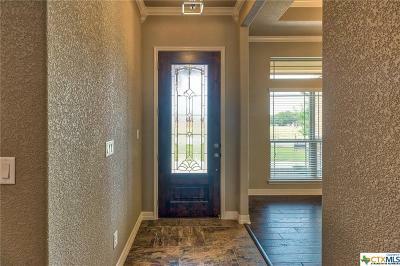 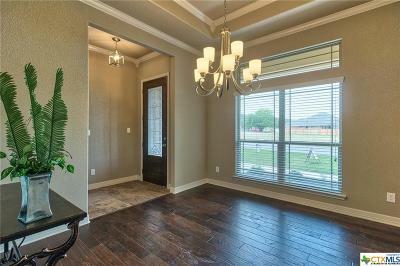 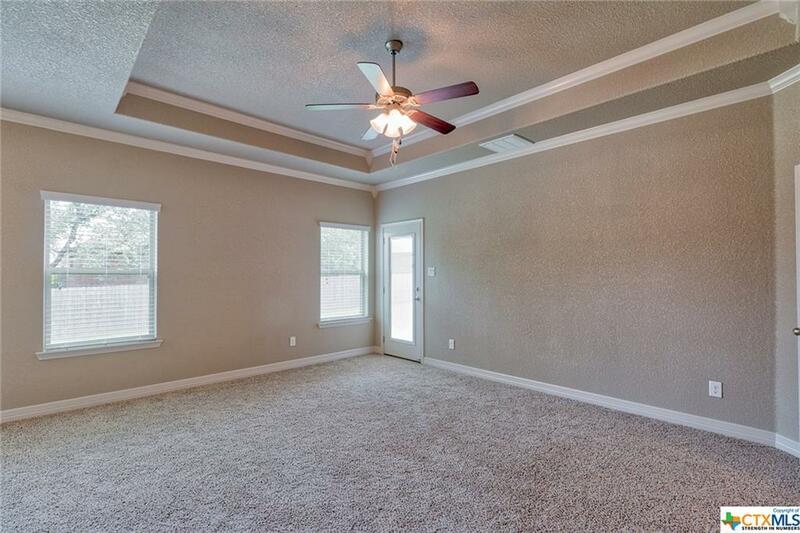 This home includes a flex room ideal for a home office in addition to 2 dining rooms. 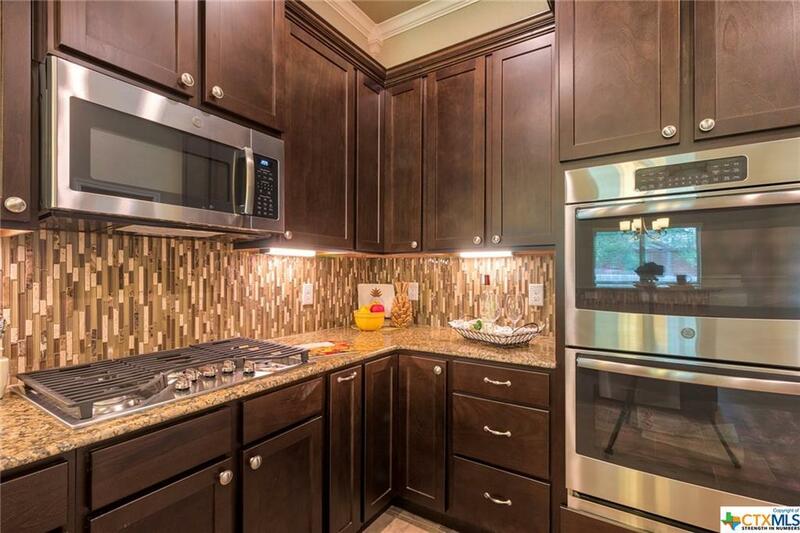 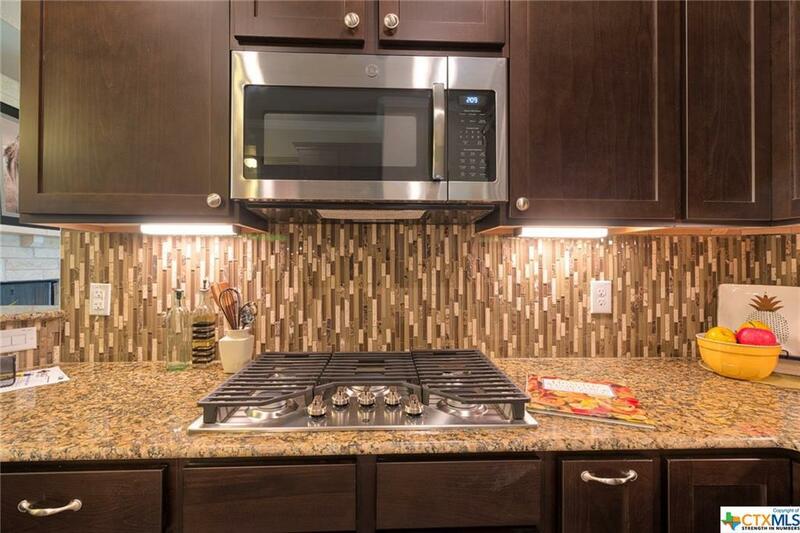 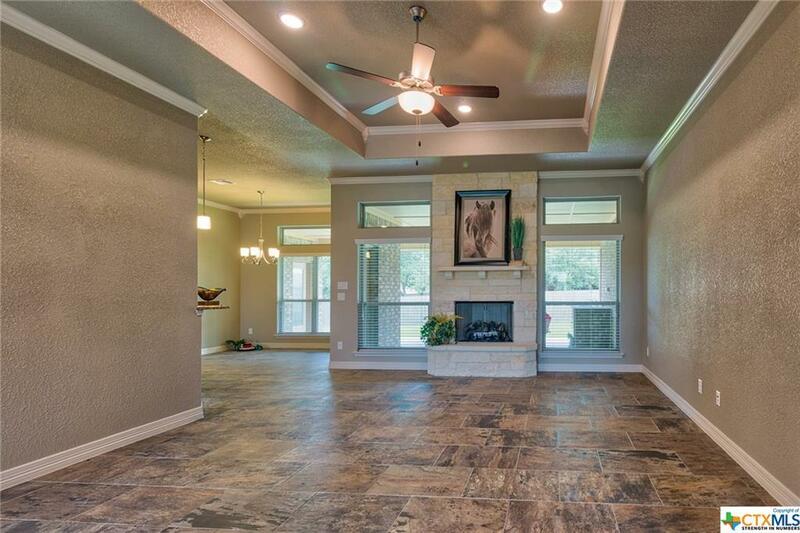 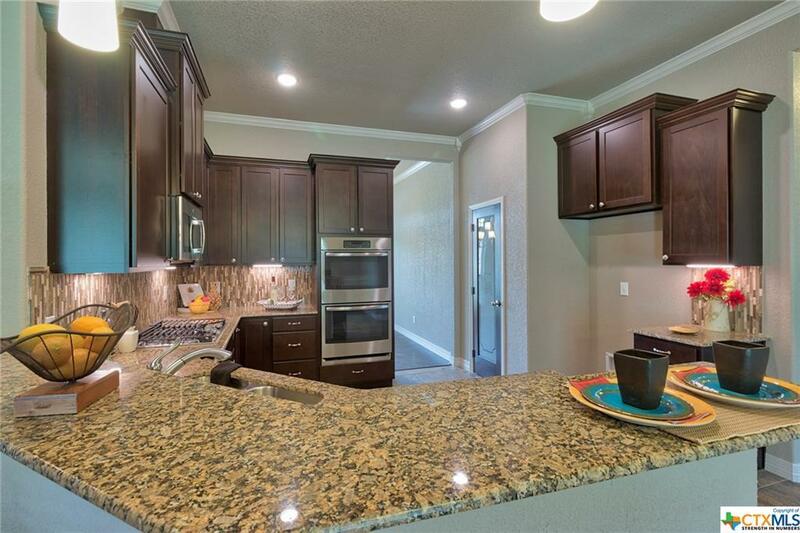 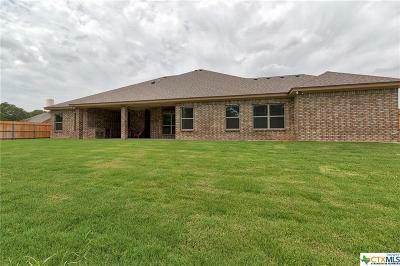 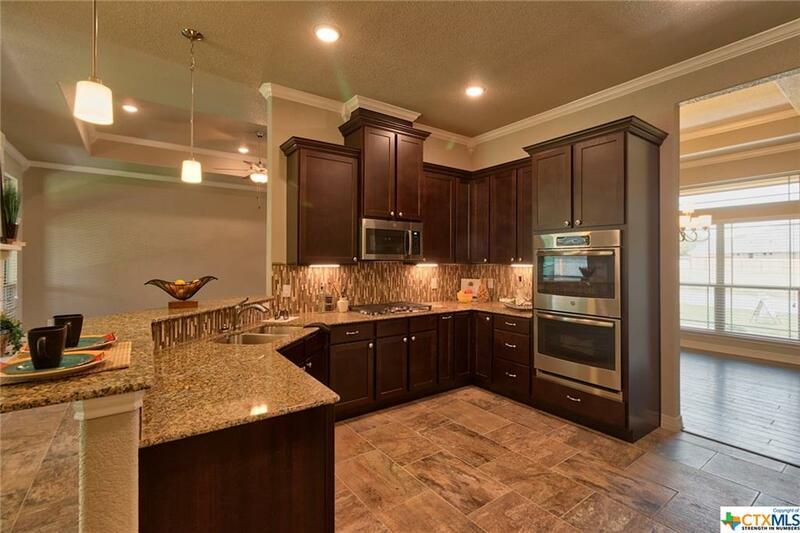 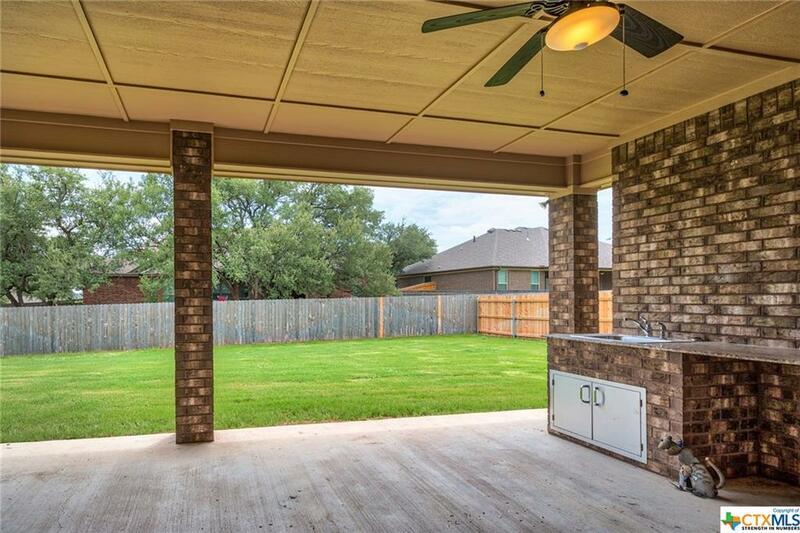 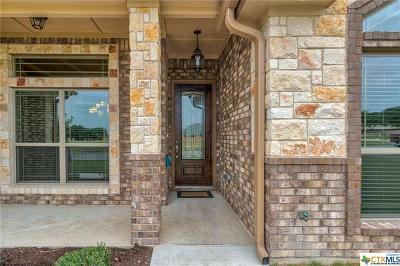 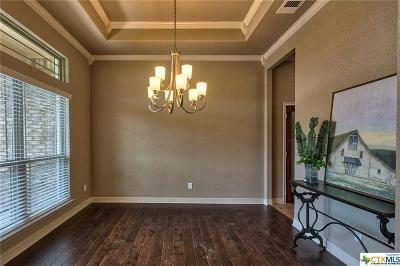 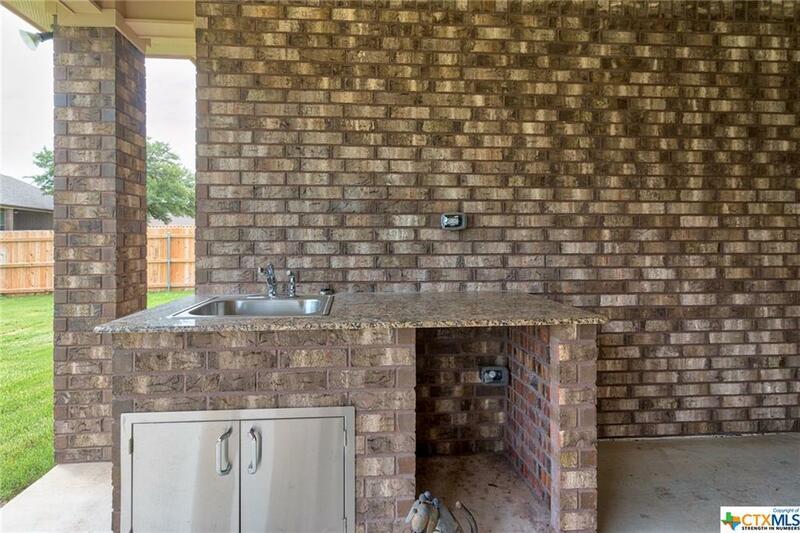 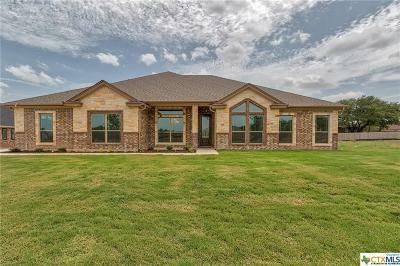 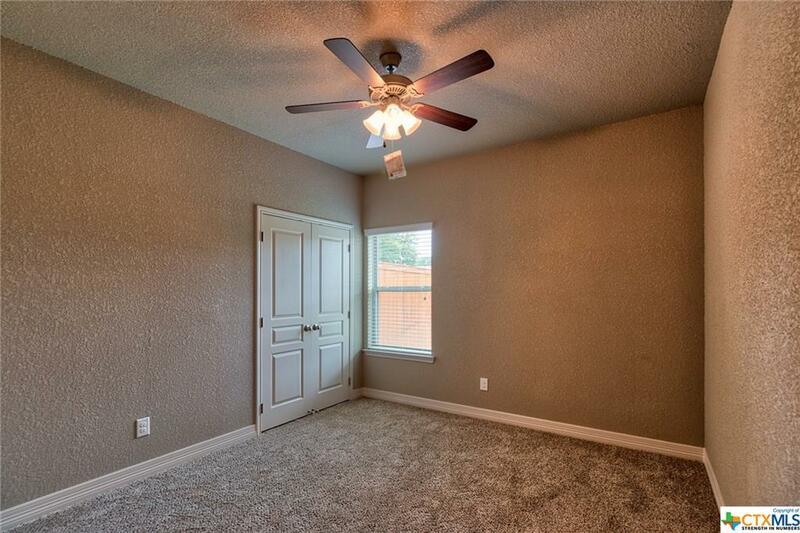 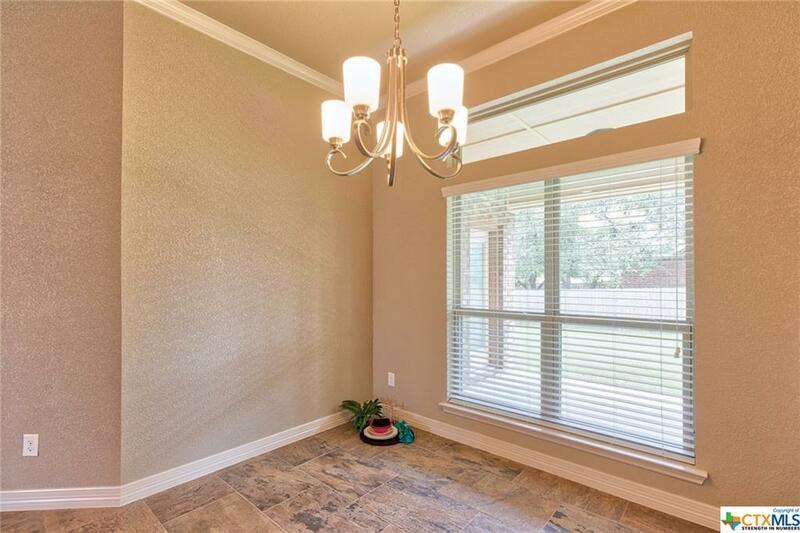 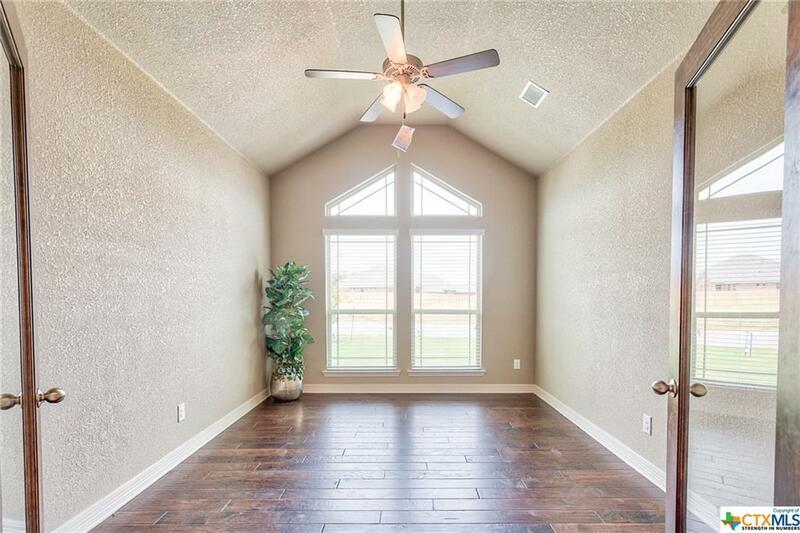 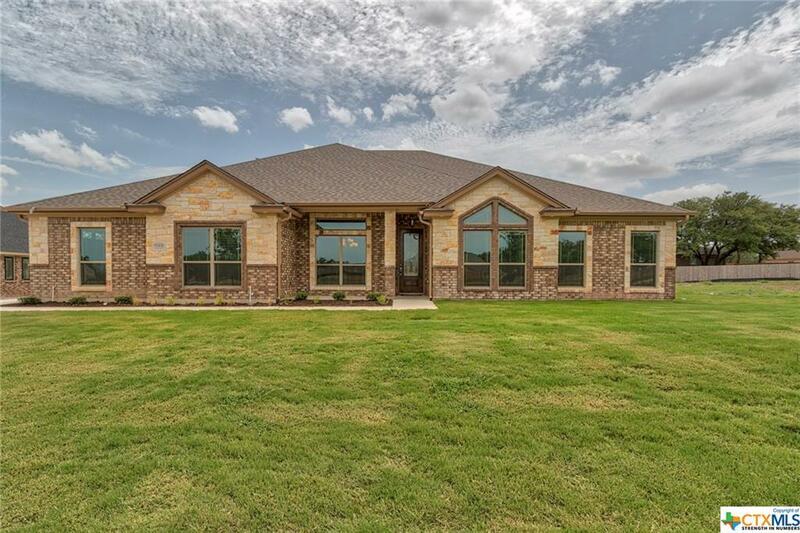 Upscale moldings, ceramic tile, a 3 car garage with exterior keypad for easy entry, faux blinds, a fully equipped outdoor kitchen with sink and room for a refrigerator, privacy fence, landscaping with full sod and sprinkler system and more make this fabulous home a must see.